Endoscopic ultrasound elastography. Soft small solid pancreatic lesions have a high predictive value to be benign. 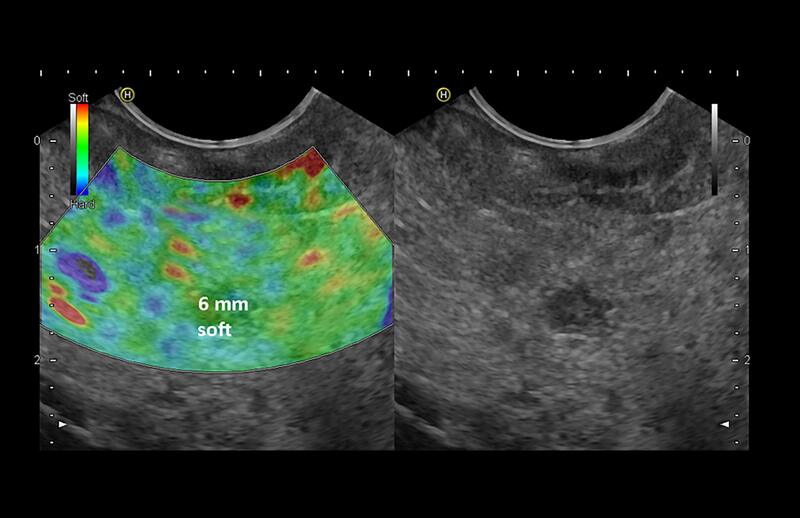 In patients with small solid pancreatic lesions, EUS elastography can rule out malignancy with a high level of certainty if the lesion appears soft. A stiff lesion can be either benign or malignant [(1)]. 1. Ignee A, Jenssen C, Arcidiacono PG, Hocke M, Moller K, Saftoiu A, Will U, et al. Endoscopic ultrasound elastography of small solid pancreatic lesions: a multicenter study. Endoscopy 2018.